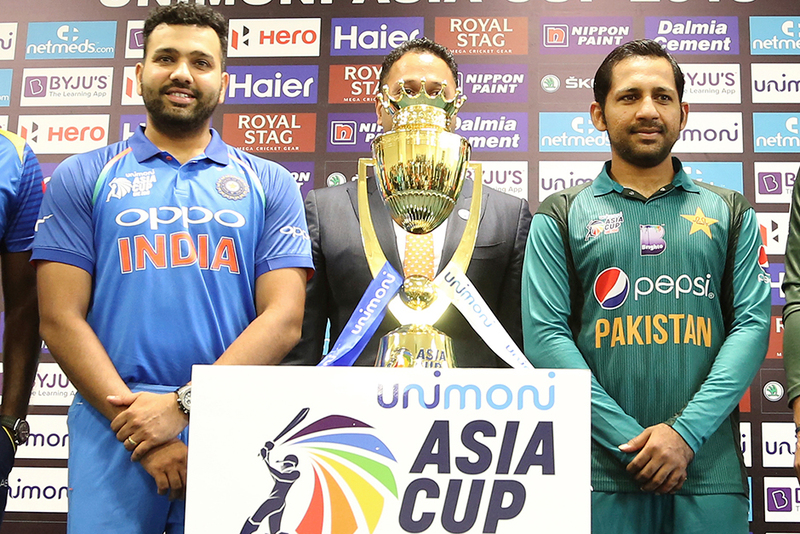 Dubai: Even six months ago, there was hardly an inkling that the city would be hosting an India-Pakistan cricket match in such a prestigious event as the Asia Cup. As all roads now lead to Dubai International Stadium on Wednesday, there is a virtual guarantee that there will be at least one of the teams — if not both once again — in the final on September 28. While the venue has worked as a windfall for the legion of expat fans of these two countries here, a billion more will be glued to their TV sets, laptops and smartphones to follow the contest which has held the game’s followers in thrall for generations. It’s easily the most worn out cliché to say that the India-Pakistan cricket matches have been always ‘more than a cricket match’ and with good enough reason. It’s simple: which other sporting contest on the globe has such stark political overtones, rich history and sees a roller-coaster of emotions? The legacy may have come a long way since the former Pakistan President General Zia-ul-Haq initiated the ‘cricket diplomacy’ when he visited India to watch a Test match in 1987, but there is no gainsaying that politics and cricket had been inseparable in this contest. The irony, however, lies in the fact that, in the ever fluctuating relationship between the two neighbours, the people of either country have held each other’s cricketing heroes in great deal of awe and admiration. The standing ovation that Wasim Akram and his team won from the Chepauk crowd after they defeated India in a Test at the Asian Test Championship in 1999 is unforgettable, while members of Indian team or the cricket writers still talk in glowing terms about the famous Pakistan hospitality during the 2004 tour. The period between 2004 and 2008, until the 26/11 happened in Mumbai, were a golden period for India-Pakistan cricket — and it’s not a surprise that it coincided with a semblance of stability in the political relationship between two countries. This was the time when General Pervez Musharraf’s friendly advice to a younger Mahendra Singh Dhoni, not to cut his famous locks, made the headlines. The former Indian skipper, incidentally, is the only tenuous link from 12 years back when India and Pakistan last played in the UAE in a two-match exhibition series in Abu Dhabi which ended 1-1. Indian skipper Rohit Sharma, filling in for Virat Kohli who has been rested after a prolonged England tour, will be certainly picking on Dhoni’s brains if the going gets tough in the middle. “It’s always exciting to play Pakistan, though the tournament is just more than a game,” Sharma said ahead of their back-to-back matches as they took on qualifiers Hong Kong before an empty stadium on Tuesday. It’s going to be a decade this November since the Mumbai attacks, and the bilateral series between the two countries have not quite resumed after it barring a hastily arranged series of One-dayers and T20s in 2013. The romantics of the game would like to believe that there could be a glimmer of hope with the legendary Imran Khan taking over as the Prime Minister of Pakistan, but it’s anybody’s guess as to where would cricket lie in his list of priorities now. Live broadcast on OSN Sports Network.